EXCLUSIVE: Another love triangle in Riverdale?! 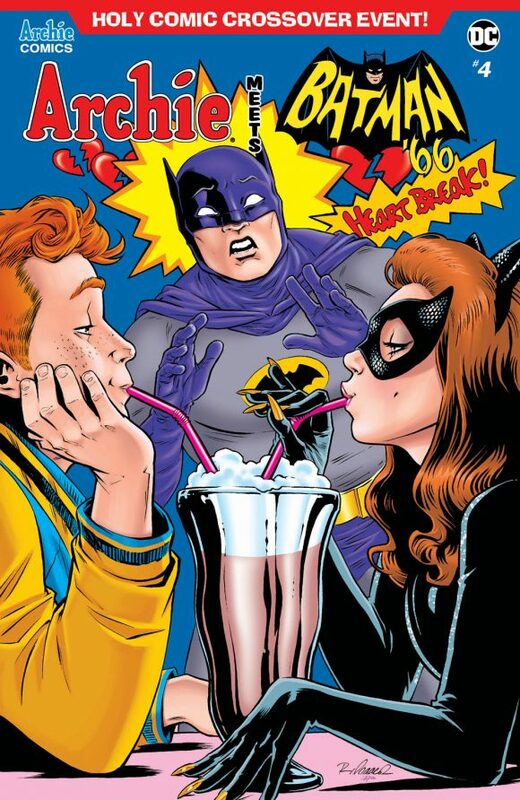 Archie Meets Batman ’66 #4 is out on Halloween and every day until Monday we’re revealing one of the issue’s six covers. We’ve already shown you Mike and Laura Allred’s main cover and the solicitation info (click here). Boy, I wonder what Betty and Veronica would think. Next up? Les McClaine and Peña. Click here. This variant cover is totally funny.